'Tis the season to be jolly! 'Tis also the season to binge and cheat on our health goals, apparently. Is this really how it has to go to celebrate the holidays properly though? If we're all being honest with ourselves, the answer is NO! This season is more than holiday cookies and mulled wine and casseroles full of fat and sugar and guilt as soon as the dish is empty. It's about connecting with friends and family and counting our many blessings as well as looking forward to what the future holds. We can enjoy all the taste and spirit of the season without busting our diets and hard work from the rest of the year. 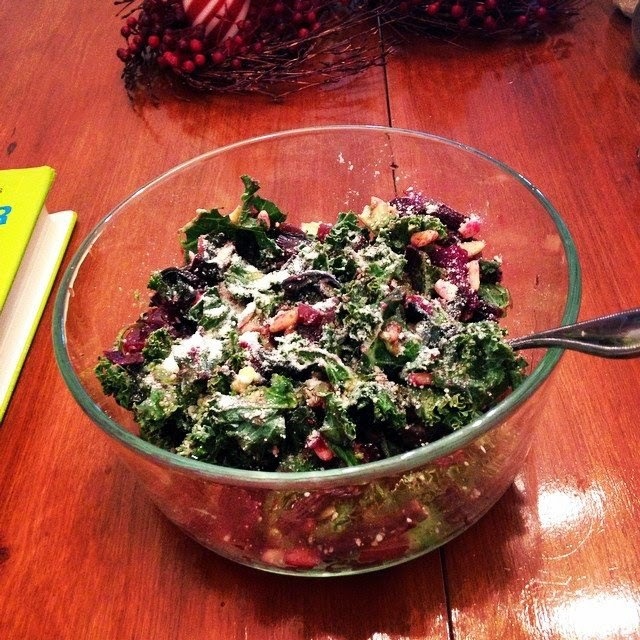 This festive salad combines tasty super foods to fill us up without filling us out. The red of the beets, green of the kale, and white of the parmesan pays homage to the colors of the season and the bounty of the land. What a great way to celebrate our blessings while being good to our bodies! Preheat oven to 425. 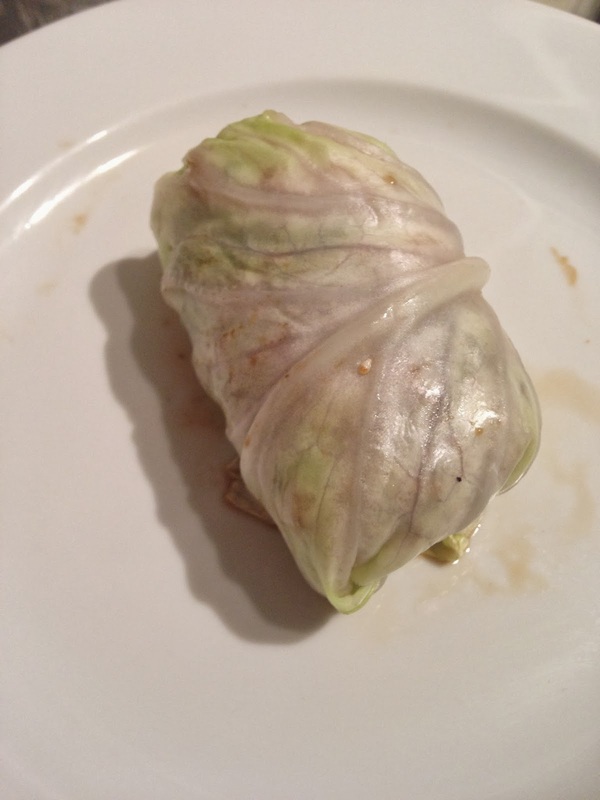 Rinse the beets and wrap them in tin foil. Roast the beets for 25-30 minutes or until they are easily pierced with a fork. While the beets are roasting, chop the beet tops and stalks. Sauté the chopped onions and garlic in olive oil until golden brown. (TIP: sauté the onions until tender first, then add the garlic to avoid burning the garlic). Next, add the beet tops and stalks and cook until wilted. Remove from heat and toss the beet top sauté with the kale. When the beets are done roasting, peel them, chop them up, and toss them in with the Kale and Beet Top sauté. Then add the Pine Nuts, Pumpkin Seeds, and Parmesan. Toss with Olive Oil and Balsamic Vinegar to your taste. Serve with a little sprinkle of added Parmesan and a few Pine Nuts. This is a great side to a holiday meal but with the addition of grilled chicken also serves as a lunch dish! Kale, Beets, low fat cheeses (like Parmesan! ), Olive Oil, Garlic, Pumpkin Seeds, and Onion are all super brain foods! They aid in brain development, memory, cognitive function, and motor control. These gems have been shown to keep our brains healthy as we age, warding off nasty things such as dementia and Alzheimer's. Kale is also a great source of fiber, Omega 3 fatty acids, and Vitamins A, B, C, and K. Beets help to cleanse our livers and purify blood, helping stave off certain forms of cancer. They are also a high source of energy while remaining low in calories and sugar and can give us a sense of wellbeing similar to how chocolate makes us feel.